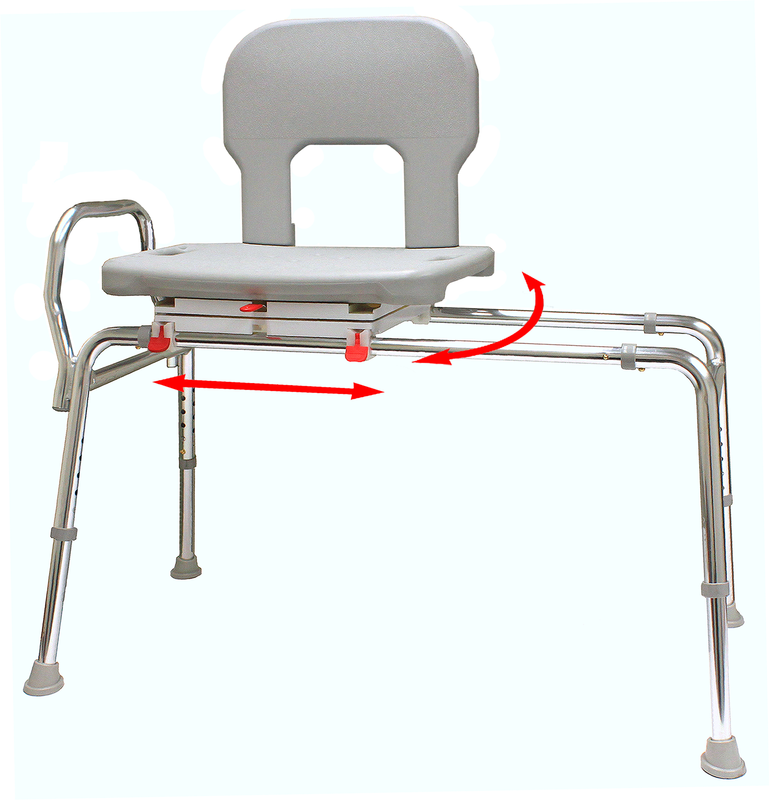 The Eagle Bariatric Swivel Sliding Transfer Bench from IndeMedical.com features a swivel seat that turns 360° and locks every 90° allowing easy entry to and exit from the bench. High weight capacity (500 lbs). 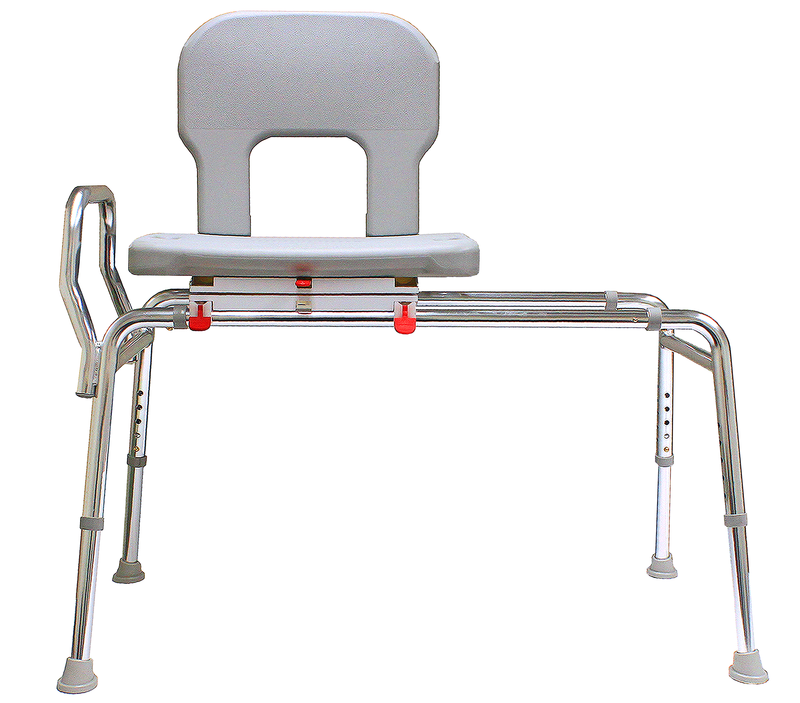 Extra wide seat glides over polished, high-strength aluminum tubes. Molded plastic seat and back, textured finish. Rust-proof, lightweight aluminum construction. Adjustable height to fit user and bathtub clearance. No tools necessary for assembly. Optional armrests available. 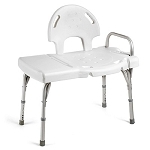 Seat Height: 19.5" - 23.5"
Back Height from Floor: 34" - 38"
Regular, 55662, Base Length: 39" - 39.5" Weight Capacity: 500 lbs. Long, 55682, Base Length: 43" - 43.5" Weight Capacity: 400 lbs. Extra Long, 55692, Base Length: 48" - 48.5" Weight Capacity: 400 lbs.